BAM! Flavour alert! This recipe’s coming in hot, combining a few of my favourite things in life to make a tasty treat that’s sure to intrigue even the pickiest of eaters. Strawberry & Basil chia jam with a slightly sweet oat base, and a crispy crumble topping. A true dream creation. Strawberries are in season, the basil on my window ledge is constantly calling my name, it only made sense that I take my simple Chia Jam recipe & jack it up with these fresh ingredients. Man, I was not disappointed. This jam is fresh, slightly sweet, and there’s this herbal hint from the basil that I can’t exactly explain but you have to take my word for it when I say the basil makes all the difference in this one. I make sure to keep a batch on hand at all times to top my smoothie bowls or to have with almond butter atop some fresh sourdough, mmmm! Why stop at just a jam? I mean it’s good, I eat it everyday, but I knew that this one had real potential to earn it’s spot in a true midday dessert. My inspiration for the final product came from the bakery that I work in by day where hands down my favourite items offered are the squares, my boss (Hi Ash!) has nailed the art of making new & creative versions of these suckers & I rave about them to customers from open until close. From date squares, to raspberry & lemon crumblecakes, & apricot squares with a coconut topping, these things are bomb. Highkey I didn’t even know I liked this type of dessert until recently & man was I was missing OUT. What with my current love affair with squares of all sorts & this new killer jam recipe, I knew I had to combine the two into something amazing. The only problem was, I didn’t have a go to oat crumb recipe that I was crazy about… but I was set on creating on. After a few weeks of testing I’ve finally settled upon a crumble that I think really complements the jam without overpowering it or taking away the flavour. Exactly what I think is important in this realm of snackage. I mean, look at them. I literally just ate one before sitting down to write this and I’m currently considering heading back to the kitchen for more. Enough rambling though, as if you need anymore reason to make these squares yourself. They’re easy, quick, sweetened simply by the strawberries and a few tbsp of maple syrup. Make em for your family & show off this fresh as heck mixture, you won’t be disappointed (no money back guarantee tho, sorry bout it). We hope that you enjoy this recipe, we know that we do! 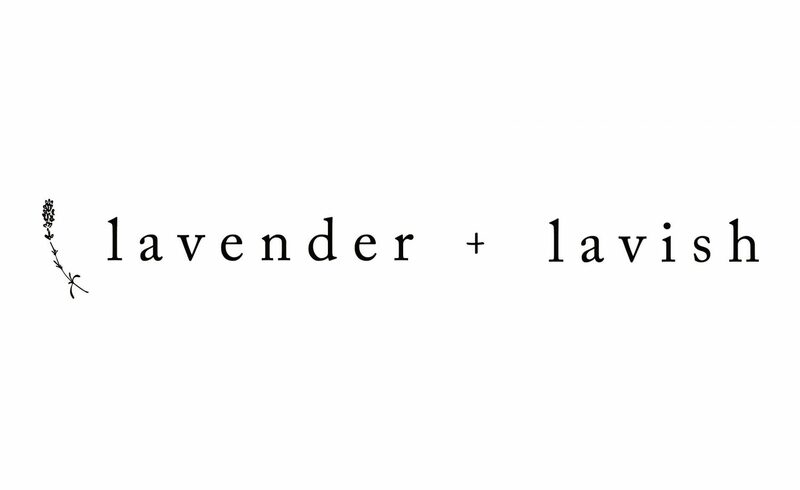 Tag us on instagram @lavenderandlavish if you recreate this one, we love seeing your photos & the different takes you have on our recipes. Have a killer week ahead, and stay tuned for another new recipe next Wednesday. Later! 15 minute prep, 55 minute bake time, overnight cooling. Begin by making the Strawberry & Basil Chia jam, usually I do not add maple syrup to this recipe but I found that it really added a nice sweetness to the finished squares. You can choose to add it or leave it out. Up to you & what those taste buds of yours enjoy! To make the jam simply blend the strawberries with the chia, basil, and maple syrup in a blender until it is fully blended and thick. Usually I would simmer this on the stovetop for about 7 minutes or until a jam consistency is formed, but for this recipe I found that baking it in the oven with the oat crumble was enough & that simmering before hand over-gelatinized the jam. Next make the oat crumb by quickly pulsing together the dry ingredients in a food processor & mixing with the maple syrup, coconut oil, and almond milk. Add 4 tbsp water to 1 tbsp of chia seeds and let sit until it comes together as your chia egg. Add the chia egg to the rest of the crumble and combine well. While the oven is heating line a brownie pan with parchment paper, or spray with oil, and press 3/4 of the oat base into the pan, ensuring that you are pressing down firmly to make sure the base really stays together. Add to this the strawberry & basil chia jam, spreading it evenly atop your oat base. Optional: add freshly chopped strawberry slices evenly over the jam. Next crumble the remaining 1/4 of your oat mixture on top of the squares. Bake for 55 minutes or until the top oats are golden brown & the chia jam is bubbling. Allow to cool, preferably overnight, before slicing into 9 squares.